This page features wildflowers ideal for planting in the West. Choose one of our custom-designed West Wildflower Seed Mixes or take your pick from our wide selection of individual species. 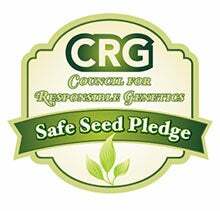 All are appropriate for planting in the West, including: Eastern WA, Eastern OR, Northern NV, ID, MT, ND, SD, WY, UT, and CO. We’re proud to sell only 100% Pure, Non-GMO, neonicotinoid-free seeds. The beautiful region of our Mountain West is home to many of our treasured native plants. Gardeners in the region can easily establish a wild flower meadow, but certain procedures need to be followed. While elevations and temperature ranges are widely varied, the most important issue is water availability. Wildflowers are tough, but like any plants, to become established, they must have moisture. Most importantly, plant your seed near the beginning of the rainiest season for your area. Planting can be successful in fall or spring. Our Proven Wildflower Seeds Mixture for the West has been a best-seller in your region for decades, and our premium All-Native Wildflower Mix for the West has even more of the area's native species.